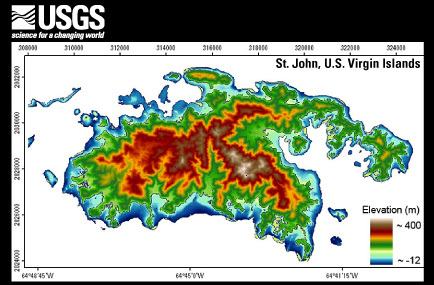 The U.S. Geological Survey (USGS) Coastal and Marine Geology Program develops and uses specialized technology to build high-resolution topographic and habitat maps. 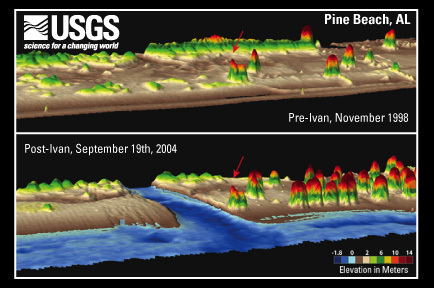 High-resolution maps of topography, bathymetry, and habitat describe important features affected by coastal-management decisions. The mapped information serves as a baseline for evaluating resources and tracking the effectiveness of resource- and conservation-management decisions. These data products are critical to researchers, decision makers, resource managers, planners, and the public. 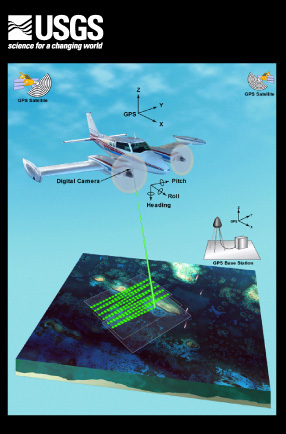 To learn more about Lidar (light detection and ranging) technology visit: http://ngom.usgs.gov/dsp/. 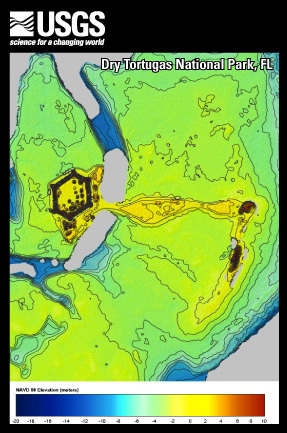 Schreppel, H.A., and Cimitile, M.J., 2011, Lidar postcards: U.S. Geological Survey General Information Product 124, 4 p.